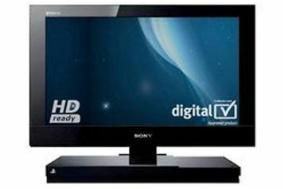 Sony releases Bravia 22in Freeview TV with built-in PS2 | What Hi-Fi? This means that not only can you play back CDs and DVDs through the telly, you can also play any old PS2 games you might have still lying around. The set's also equipped with a Bravia Engine 3 processor, HD-ready screen resolution and MPEG noise reduction. Sony's S-Force sound system gives sonics a boost, and Clear Voice does what it's name suggests. You can connect to the internet using one of the two onboard Ethernet sockets (or via an optional wi-fi dongle), taking advantage of Sony's Bravia internet service to watch YouTube, BBC iPlayer, LoveFilm and the like. Connectivity includes four HDMI sockets, Scart, component, PC input, two optical digital outputs, headphone and audio outs and three USB sockets. Richer Sounds is selling the KDL-22PX300 for £199.95. Discover more Christmas bargains in our 'hot deal roundup', updated daily.